Kicked in excess of 40 goals (45) for the fourth-consecutive season to finish third in Adelaide’s goalkicking. Jenkins missed a month with a rib injury, but played the last 16 straight matches and notched his 100-game milestone in Round 11. Laid a career-high 13 tackles against Carlton and kicked four goals on three occasions, including the Preliminary Final win over Geelong. Took his game to another level in 2016, kicking a career-best 62 goals for the season. The athletic forward proved to be a difficult match up for opposition teams due to his speed, strength and size. A key member of Adelaide’s potent yet unselfish forward line, Jenkins was equal-seventh in the AFL in goal assists (23) and equal-13th for unique score involvements (177). Also ranked second at the Club for contested marks (30). 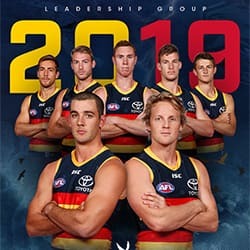 Named in the 40-man All Australian squad for the first time and finished inside the top 10 in the Crows Club Champion award for the second time in three seasons. Will remain a Crow until at least 2021 after signing a five-year deal in July. Overcame an early-season hip complaint, which saw him miss two matches, to kick a personal best 46 goals and finish third in Adelaide’s goalkicking. The agile Crow improved his goalkicking accuracy and also his contested marking, and ranked No.1 at the Crows (31) for contested marks in 2015. Lightning quick and weighing 106 kilograms, the 198cm basketball convert is a nightmare match-up for opposition teams and, along with Taylor Walker, forms one of the most potent key-forward combinations in the AFL. Notched up his 50th game against Collingwood in Round Two. The former basketballer took giant strides in 2014. Jenkins was left out of the AFL team in the opening two rounds as he continued to build confidence in the leg that he fractured in an awkward landing at Patersons Stadium in Round 18, 2013. The athletic forward returned to the senior Crows team in Round Three and played every game from there on. Jenkins kicked 40 goals (ranked 15th in the AFL) in his 20 games, including a career-high five goals against Hawthorn in Round 17. He was also tried in defence late in the season. Signed a two-year contract extension, tying him to the Club until at least the end of 2016. Jenkins made excellent progress in 2013, stepping up to help fill the void left by injured spearhead Taylor Walker. The powerfully-built forward/ruckman played every game until a fractured leg in Round 17 put an abrupt end to his season. 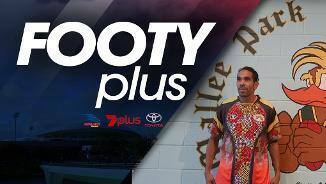 The former Essendon rookie kicked 24 goals, including a career-high four in Round Seven, to finish third in Adelaide’s goalkicking. Still raw in football terms and will only get better with experience. Recruited from Essendon during the 2011 trade period, Jenkins provided plenty of excitement in his first year in Crows colours. The athletic and competitive former basketballer played 11 games, switching between the ruck and attack. He also kicked 11 goals, including a brilliant running goal against Carlton at Etihad Stadium in Round Eight. 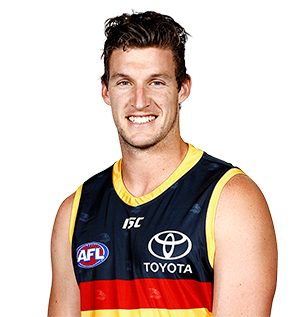 The Crows identified Jenkins as a trade-week priority after losing ruckman Ivan Maric to Richmond, as well as key-position players Jack Gunston (Hawthorn), Phil Davis (Greater Western Sydney) and Scott Stevens (retired). 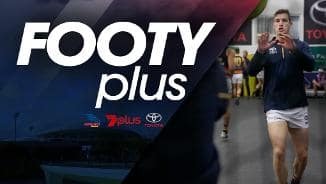 A deal was reached in the dying minutes of the AFL exchange period, with Adelaide agreeing to send pick No.31 to Essendon in exchange for the untried rookie. The 197cm basketball convert had a strong 2011 season playing in the ruck with Essendon’s VFL affiliate, Bendigo and also has the capacity to play in attack or defence.